THE LUMINARIES: Serious fiction? Waste of time? Who cares? Serious fiction? Waste of time? Who cares? 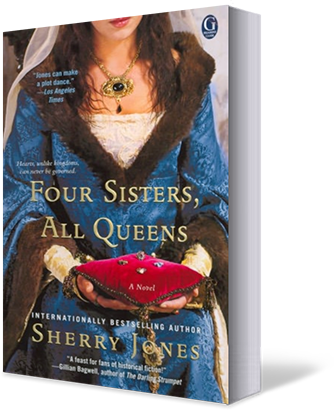 Posted bysjones2016	 October 19, 2015 March 22, 2019 6 Comments on Serious fiction? Waste of time? Who cares? Eleanor Catton’s Booker-Prize-winning novel is a romp–but worth all the time to read? 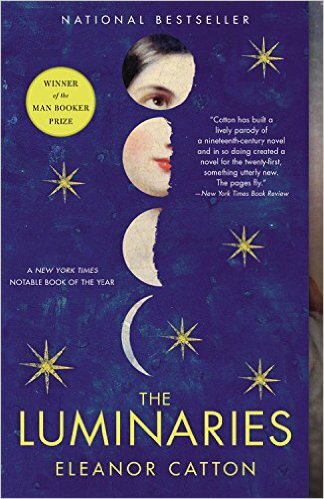 Eleanor Catton’s historical fiction book THE LUMINARIES is a rollicking, tongue-in-cheek parody of the overblown, overwritten, melodramatic 19th-century novel and a page-turning murder mystery, to boot. Like the gold it’s written about, the book dazzles the reader with a head-spinning array of characters and a running commentary on the darker aspects of humanity—as you’d expect. It is, after all, set during a gold rush. Winner of the 2013 Man Booker Prize, THE LUMINARIES employs the quainter, more theatrical conventions of the era it portrays. This makes it at once a fascinating read and a difficult one. At the worst, we realize how grateful we ought to be to Hemingway and his ilk for giving us the unembellished sentence. The best contemporary writing focuses our attention on characters and plot rather than on the writing itself; our eye can fly across the page. 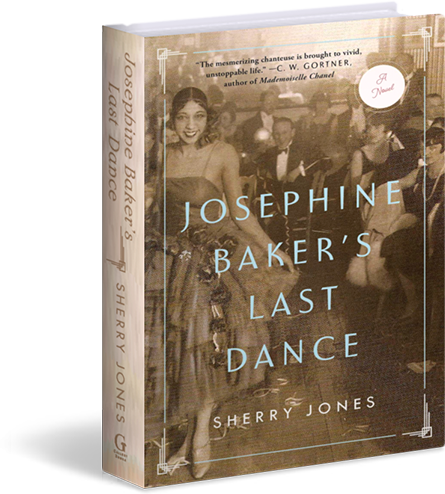 This book’s deliberately ponderous style slows us down, bogging us down in detail, much of it extraneous. At best, however, we can delight in Catton’s lush descriptions and exquisite turns of phrase, knowing that her ornamentation is conscious, and sly. Taking place during 1865-66, THE LUMINARIES begins with a tableau: twelve men meet in the smoking lounge of the Crown Hotel in Hokitika, NZ, to try to unravel the mystery surrounding a digger’s death, a prostitute’s apparent attempted suicide, a wealthy prospector’s disappearance, and the sudden appearance of a large amount of gold that everyone, it seems, lays claim to. The arrival of the thireenth man, attorney Walter Moody, is an accident—a fortuitous one, it turns out—but his objective point of view inspires the men to confide in him, each telling him the story of his own involvement in the narrative, and, in the end, inviting him to judge. It’s not an easy book to get into. I first began reading it a year ago, but abandoned it 100 pages in, lost in the crowd of characters, none of whom I’d come to care about or could even keep track of. When I realized that THE LUMINARIES was intended as a parody, however, I began again eagerly, taking pleasure in the feeling of being “in” on a clever literary joke. “A ship made of matchsticks in a bottle is a feat of construction but not necessarily a great work of art,” critic David Sexton writes of the book in the London Evening Standard. Kristy Gunn, in The Guardian, complains that THE LUMINARIES, for all its 834-page heft, weighs nothing in the end. None of it, she writes—not the characters, not the story, not the astrological charts Catton uses throughout—means anything. seems as provocative a takeaway as any book might offer. Here lies the secret to enjoying this great, sprawling tome of a book. Like the participants in the séance given by the canny widow Lydia Wells, readers can best approach THE LUMINARIES with a twinkle in the eye and a willingness to sit back and enjoy the show. The book is entertaining, clever, and gorgeously written. It reminds us how far we in the West have come, ethically, and how far we have to go. 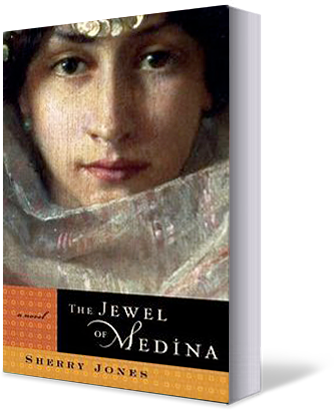 It offers a thrillingly complex plot, a riveting courtroom drama, and a moving, ultimately satisfying love story. “The pages fly, the great weight of the book shifting quickly from right hand to left, a world opening and closing in front of us, the human soul revealed in all its conflicted desperation. I mean glory,” writes Bill Roorbach in the New York Times. THE LUMINATIES is an exhilarating ride of a tale best enjoyed and savored—but, like life itself, not taken too seriously. We are, in the end, all fools—and you know what that makes our gold. 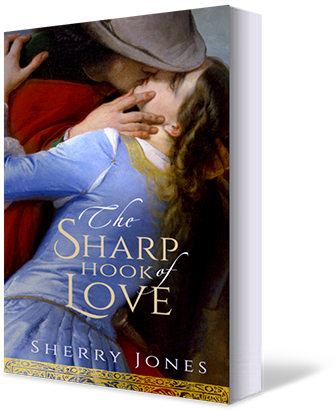 For posts on historical fiction–both writing it and reading it–subscribe to Author Sherry Jones’s blog. And for a chance to win my copy of THE LUMINARIES, comment on this blog! I’ll choose a winner on Monday, Oct. 27. What is this book a parody of? 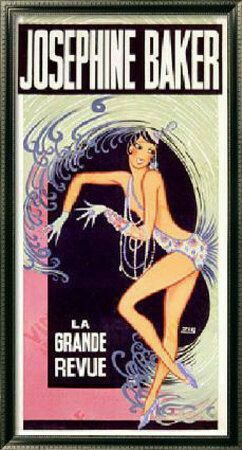 Louie, it’s a parody of Victorian-era novels, with their pre-chapter summaries (“In which the widow Wells sees a ghost, and the Chinaman makes an impression on the crowd”) and ornate, even florid writing style–all the rage until Hemingway and his ilk made plain, simple writing all the rage, which it still is today. Enjoyed your review, I haven’t purchased this book yet, every time I read the reviews I somehow change my mind, but you have piqued my interest! Holly, it can be a but confusing, with the points of view and storylines switching around so much, etc., but the list of characters in the front of the book helps a LOT. As an avid reader of mysteries, and knowing your style, I look forward to reading LUMINARIES. You are definitely a lady of vision and purpose.